Barcelona v Real Madrid: Watch El Clasico Live! Table-toppers Barcelona host an out of form Real Madrid, in the first El Clasico of the season. Watch the game Live here! 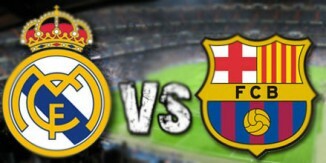 Comment	Barcelona v Real Madrid: Watch El Clasico Live!